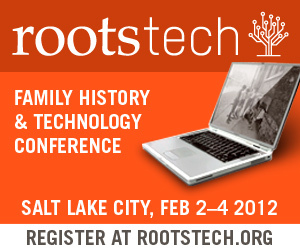 We are exactly one week away from Rootstech. I think I’m finally got all my ducks in a row. Airline tickets are booked. We will be flying out of Detroit early on Wed morning, putting us in Salt Lake by 10:30 am, fingers crossed all goes well. I forked out the extra $$$ for a direct flight, being winter I didn’t want to chance been stranded in another hub. We will head to Detroit the night before, stay in an airport hotel where we will leave the car. That’s the plan. Since we last talked I’ve got a chance to look at the Rootstech schedule, I have a rough outline of the lectures I want to attend. I don’t want to be too absolute with it as I have learned from past conferences to leave a little wiggle room for last minute changes. Haven’t really committed to too many extras, like the lunches. I was interested in the brightsolid lunch, but I was slow on the draw and it is sold out. Note to self don't take to long to think about these things. One thing I do find confusing about the lecture schedule has to do with the hands-on lectures. These hands-on lectures have a limited capacity so you have to register for them, however they are not really clearly identified as such on the schedule. I found my self marking them in my calendar only to realize later they require a registration. How many others will do the same? How many will show up at the lecture disappointed they can't get in, or take someone else's seat? A previous reader mentioned something to this effect and now I know to what he was referring. Who is going to the comedy show? Hmmm.... should I go solo or buy the hubby a ticket? Assuming he'll be back from skiing. By now you are all aware of the RootsTech App (Apple or Android) This is certainly a wonderful added addition to organizing and improving my conference experience. The contacts seems to be a bit of an issue, bumping seems a more likely option. I understand there are still some tweeks and changes still coming for the App. Nice work RootsTech! The syllabi are ready for download. Head to the schedule for those lectures that provided a syllabus where you will find a link under there respective listing. 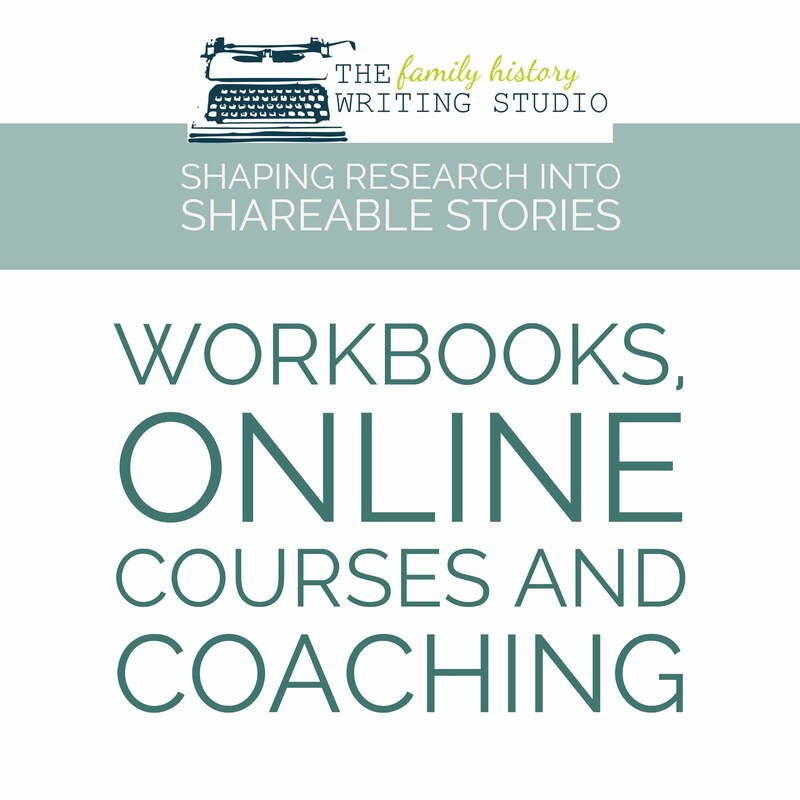 Since my last post, many of you who have been to RootsTech and or live in the area have been most helpful for this Newbie RootsTechie! I appreciate your help. There has been a few posts around the blogosphere with plenty of great suggestions. Amy Coffin from We Tree Genealogy and The Wallflowers Guide to RootsTech! 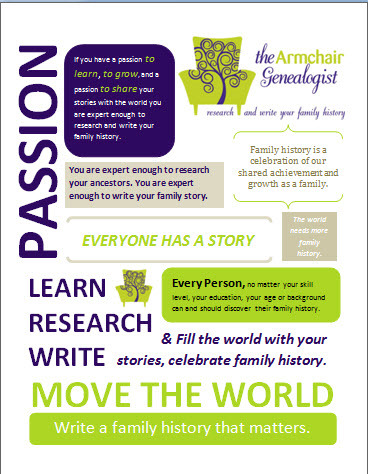 Banai from The Ginger Jewish Genealogist and The Insider’s Guide to the Family History Library and SLC. And most recently Randy Seaver at Genea-Musings shared with us this great must have, The Chart Chick's Guide to Salt Lake City written by Janet Hovorka. I've added it to Dropbox, so I'll have it readily available on my iphone. 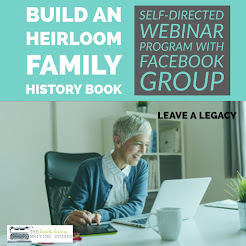 This week’s focus will be to finish up my blog posts for the next week, and make sure The Family History Writing Challenge members are ready to go. 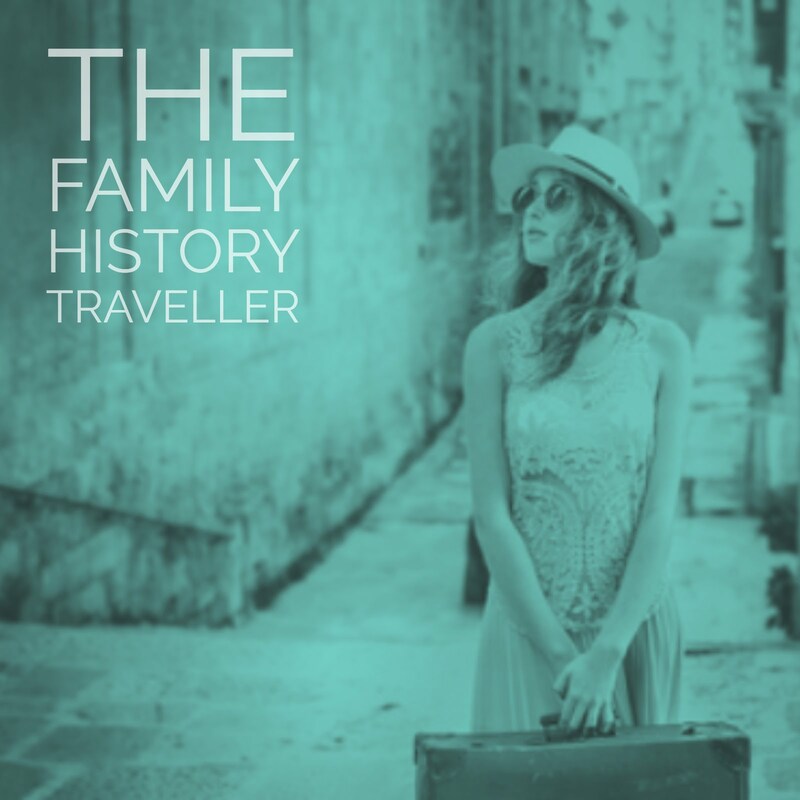 As well I need to get my own research in order for my visit to the family history library. Since we are getting in to Salt Lake City a little earlier then I first anticipated I might squeeze some time in on Wednesday to get started on some research at The Library, before the excitement and events of the conference swallow me up. 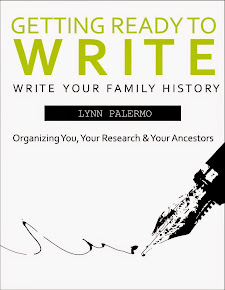 I’ve added the updated list of names of the Geneabloggers at the conference to my Dropbox, I’m going to do my best to meet them all. Be sure to ask for my business card while at RootsTech, you’ll be the first to see my new logo. ( Not yet up on my blog). And check out the jewellery I will be wearing while at the conference, heritage jewellery courtesy of drtaylordesigns. I love it. I think you will too. I haven't forgotten about those of you who aren't luck enough to be joining us. I've gathered the live-streaming lecture schedule here. 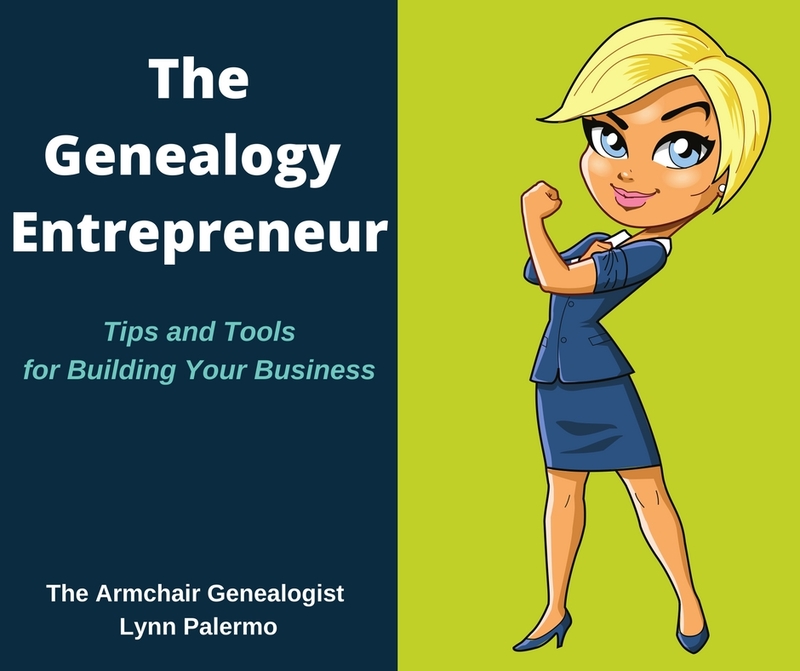 This is a fantastic online learning opportunity for armchair genealogists. One last question to those who have been to Salt Lake City, or those that live in the area….the most important question…..where to eat? Janet has a nice round up of places in her book. However, if you got a hot spot you want to share, point me in the direction of the best of the best of the local cuisine, feel free to leave them in the comments below. Now the only thing left to do is pack!